Based in Sidbury, just north of Sidmouth in East Devon, Sole and Body offers reflexology in the comfort of your own home anywhere within a ten mile radius of Sidmouth, East Devon. Or you can make an appointment to visit Sole & Body. Jacqui Maltby is an experienced and qualified reflexologist, having studied Anatomy & Physiology and Reflexology with ITEC. Reflexology can be used to treat a wide range of disorders including skin and respiratory conditions, depression and anxiety, stress, chronic fatigue, insomnia, migraine, PMS and menopausal problems. 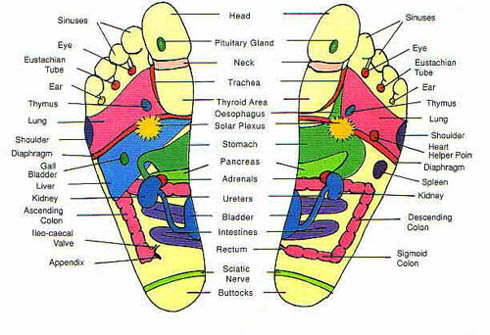 Reflexology is frequently used as a means of relaxation and is suitable for any age.